Bryson Charitable Group founded in 1906 has been at the heart of regional Social Development for over 110yrs. 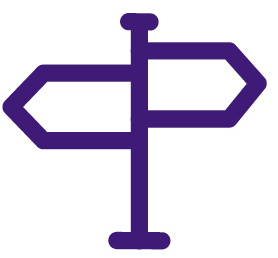 The modern Group is formed around 6 Social Enterprise companies; Bryson Care, Bryson Energy, Bryson Intercultural, Bryson LaganSports, Bryson FutureSkills and Bryson Recycling, using a shared central service model. Bryson is Northern Ireland’s leading Social Enterprise, employing over 800 staff, has a turnover approaching £30m; circa 90% of our revenue is derived from service contracts competed for in open tender. We trade for social purpose and hold contracts in a broad range of public service areas, which include Adult and Family Care provision, energy efficiency and fuel poverty; refugees and asylum seekers; training people and supporting them into employment and innovative recycling services. Our operational model drives and challenges public policy to deliver better outcomes and on a typical day we will deliver across N Ireland, County Donegal and N Wales on average over 22,000 service episodes. We believe that our experience in challenging and developing public policy makes us uniquely positioned to advise the Committee on a range of public policy matters which are suffering due to the absence of a functioning NI Executive and Assembly. Behind all of our concerns over the absence of a functioning Executive are the indications of major financial challenges in 2018 and beyond. The Committee will be aware that the Department of Finance in N. Ireland has produced a Budget Outlook that examines potential scenarios for the funding of public services until 2020. The proposals that are already harsh, do not take into account any potential impacts from the devolution of Corporation Tax powers, which are estimated to cost £250m per annum, the potential for infrastructure budgets being exceeded or any costs related to Brexit. This financial and economic uncertainty reinforce the urgent need for an effective operational Executive with an understanding of local priorities and able to assess and make the difficult decisions in the best interests of N Ireland. Department reductions to redirect funding to health and education. Despite an opportunity to give feedback, these scenarios paint a bleak picture for available budgets for the delivery of public services. 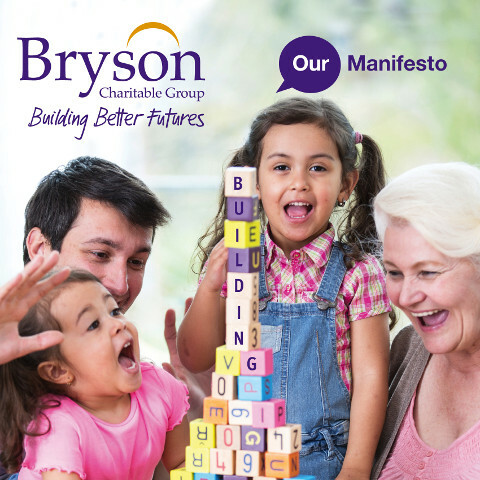 From Bryson’s perspective and highlighted in our Manifesto, available here, “business as usual is no longer an option for N Ireland “. We are aware that none of these scenarios can be implemented in the absence of Ministerial decision making. We therefore would urge all Parties in N. Ireland to return to the Executive to address these important issues. However, should these matters move forward without an Executive in place we would ask that an open dialog takes place, which includes all of Civic Society including in particular, the Social Economy. In recent years, there have been many welcome changes to local government in N. Ireland. The reduction from 26 to 11 councils representing 1.8m people was intended to insure administration savings that could be redirected to deliver better value public services. The experience of local government working in partnership with our sector has been mixed. In many cases the willingness to consider such partnerships appears to be firmly off the agenda as they approach their new powers with a strong preference to deliver most services internally through direct labour, giving less weight to better value options. It is Bryson’s view that this often leads to suboptimal policy interventions, as the starting point is internal structural stability not which interventions provide the best policy outcome impact. We need an effective and operational Executive to act as a policy direction vehicle and ‘honest broker’ in assuring the most effective policy interventions and outcomes are commissioned. Bryson believes that the absence of Executive Ministers for N. Ireland has meant that there has not been any opportunity for them to directly assist local councils and a range of other public bodies in seeing the social and economic benefits of effective partnership working. Bryson has many years of experience in competing for and winning large public service tenders. We have experienced the procurement process becoming increasingly more restrictive, resulting we believe in excluding innovation and service evolution. We believe procurement processes are reinforcing restrictive specification and driving award decisions to be primarily price based. The result being: lower priced poorer quality and less adequate contract awards, which often result in the workforce having to shoulder the savings through lower pay and T&Cs. We have seen the original NI recycling contracts move from a process that allowed innovative solutions, shift to narrowly defined specifications with award criteria heavily biased towards price rather than quality or innovation. It is our view that this will inevitably lead to the delivery of less favourable economic and social outcomes for N. Ireland. Bryson briefed the last Finance Minister on its concerns that the orthodoxy of price driven tender competitions not only delivered poorer outcomes but that we have also failed to use the broader range of procurement flexibilities available from within the current EU Framework, which include: Light Touch Regimes; Innovation Partnerships; Concession Contracts, etc. We briefed the Minister on our view that without a Duty placed on Departments and public bodies to ‘Account’ for ‘social value’ (in line with EU Framework aspirations) we will see no change. We highlighted that N Ireland was the only devolved administration in the UK without a Social Value Act (or similar) and gained a commitment to bringing one forward. Additionally, Bryson supporting Social Enterprise NI have built an Assembly All Party Group coalition willing if necessary to take this forward as a Private Members Bill. Our concern is that without an Executive there will be no requirement to progress the proposed Bill. N. Ireland currently has the highest level of fuel poverty in the United Kingdom. Fuel Poverty stands at 42% of households in N. Ireland and this level is rising. It is caused by factors such as: energy inefficient homes; low household incomes; high fuel prices (which are currently accelerating) and uniquely to N Ireland, a high dependence on unregulated home heating oil as the primary heating source. Bryson Energy has been tackling this challenge for many years delivering and developing innovative programmes. Before the policy change which developed the Affordable Warmth Programme assisting over 3,000 households p.a. that brought the delivery of the programme into the public sector (local councils and NIHE) its effective predecessor the Warm Homes Scheme delivered by two external contactors, one of which was Bryson Energy, assisted over 9,000 households p.a. The Department for Communities has recently launched a public consultation on its Affordable Warmth Scheme, which will end on the 16 February 2018. This consultation will feed into the new Fuel Poverty Strategy for N. Ireland. Bryson Energy welcomes the consultation and will respond to it. We have some concerns about the narrow perspective of the consultation but with no Minister in place, no Executive and no Assembly there is no mechanism for requiring officials to think outside their policy ‘comfort zone’ and enable greater challenge to the adequacy of the existing programme and policy. For example the Draft Programme for Government is outcomes driven and you would expect any related fuel poverty programme to commit to actual reductions but such appears absent from the consultation with the focus on how much spent and how many measures done (inputs and outputs not outcomes). It is Bryson’s concern that without Ministerial direction the review will lack innovation and challenge. The consultation states that no new actions relating to a new Fuel Poverty Strategy for N Ireland will be taken in the absence of Executive Ministers. We know from long and direct experience of engaging and assisting those in fuel poverty that this potential delay will not serve the needs of those living in Fuel Poverty. Indeed as time progresses the indications (escalating fuel costs) are that fuel poverty will become worse in N Ireland. This may have multiple impacts on our already overburdened health service, negative impact on our productivity, which is already one of the lowest in the United Kingdom, and our economy. Bryson has piloted a unique 'Whole House Solution'. This programme piloted the in Strabane and Omagh districts was independently evaluated by Ulster University and demonstrated significant impact on fuel poverty, the potential to create new entry level jobs and an economic boost to local installers. It included providing advice, installing energy saving measures (efficient heating, systems loft insulation, etc.) but beyond the current statutory programme, included fuel switching support, energy buying clubs, budgeting and income review. As well as reducing fuel poverty and creating employment, this pilot has made savings of around £2 for every £1 invested. We are now developing a pilot in North Belfast to test the training for employment opportunities from a home insulation programme within local communities but with no Ministerial leadership, it is difficult to effect policy change. We also note that a number of energy efficiency policy developments, in particular EnergyWise have stalled in policy stasis because of no Ministerial direction. "By 2039, the population aged 65 and over will have increased by 74% compared to the position in 2014. This will mean that one in four people will be aged 65 and over. Similarly, the population aged 85 and over will increase by 157% over the same period, which will see that population increase from 1.9 % to 4.4%." These are the figures produced by the Department of Health in N Ireland in its Health and Well Being 2026 - Delivering Together Report in 2016. In N Ireland as in many other parts of the UK, there is a crisis in social and domiciliary care. Statistics show that the pressures on our health services are only going to increase at a time when budgets are challenging. Bryson Care has been encouraging the Executive to recognise the importance of tackling this issue and realising the economic opportunity that presents itself if managed correctly. Sadly, given the last year of political stalemate it has been difficult to get the message across. The Health and Well Being 2026 - Delivering Together Report October 2016, it looked as if there might be positive change for adult and social care. The Report introduced the themes of co-design and co-production. These themes showed that Government recognised it could not do the job on its own and needed partners to help deliver the services. Bryson Care was and is very willing to be a partner to deliver these services. In January the Assembly collapsed and it is only now that guidelines around co-design and co-production are likely to be published. We need Government to wake up to the potential and impact of the Adult Social Care Sector and its workforce, in generating economic growth, contributing to reducing economic inactivity and improving N Ireland’s productivity. 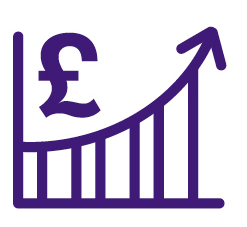 Through intelligent service commissioning and flexible ‘light touch’ procurement Government has the power to do things differently; set minimum salary levels for care workers using the savings realised across the wider health service to fund this. We welcome opening the market up to self-directed support in order to empower people to make their own choices, leading to greater service innovation and new social investment models, such as Social Impact Bonds. The UK has many examples of using bonds and we in Bryson have been encouraging Government to pilot in N Ireland with no success to date. We would encourage the Committee to investigate the potential of Social Finance for the delivery of services in N Ireland. The absence of Executive Ministers for the last year has delayed the progress in developing domiciliary care as the policy vehicle to deliver better social care in homes and reduce residential and hospital costs. 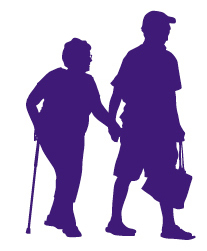 This can only be achieved by investing in providing fully appropriate domiciliary care services. We believe that this will require a significant change in approach by Government. We recommend that there be a review of domiciliary care contracts. These contracts need to be set at a realistic level to allow investment in the development of skilled care workers. Such a policy change has the potential to create large numbers of new higher value jobs with clear career paths for skilled workers delivering the expanded range of home care services. In the last 10 years, recycling has developed into a success story for N Ireland. 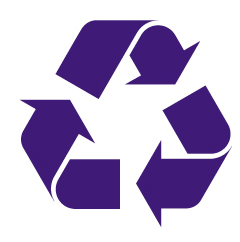 In this time, our recycling rate has grown from 18% to 50%. At Bryson Recycling we are not only committed to finding ways of helping the United Kingdom meet the 2020 target of 50% but also have a clear focus on unlocking the economic potential of recycling for Northern Ireland by delivering high quality recyclables to local remanufactures. Our approach has environmental and economic benefits through reducing the amount of waste that is sent to landfill. In a study funded by Invest Northern Ireland, we have calculated that recycling materials in Northern Ireland adds approximately £115m per year through added value to the local economy. This is derived from just three Northern Irish based reprocessors who recycle paper, plastic bottles and glass jars and bottles. Between them they employ 750 people and have capacity to grow. Sustaining and growing this industry can only happen if materials are collected in the right way and delivered free from contamination and to a high quality. In order to realise this ambition Bryson Recycling has created innovative solutions to kerbside recycling by bringing new vehicles and containers onto the market place. As a result there are now 250,000 wheelie boxes in use in the UK, including in 20,000 homes across N. Ireland, and over 400 Kerbsort vehicles in the UK, 40 of which are used in N. Ireland. Our model is helping to change the face of recycling and will help local council partners achieve recycling rates of around 60%. The lack of Executive Ministers being in place to be fully informed of these innovations and results has been disappointing, as it has delayed policy decisions that could be raising our recycling rates and standards. 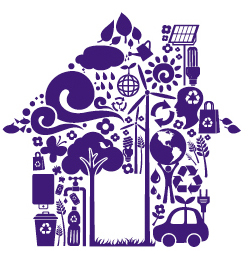 With a functioning Executive in place we would take the opportunity to engage with them to persuade them that the implementation of a 'blueprint' recycling collection model that encourages householders to recycle and ensure the collection of high quality materials provides the best economic, environmental and social benefits for N Ireland. The latest N. Ireland unemployment rate (3.9%) was below the UK average of 4.3%. Additionally, it was below the European Union (7.5%) rate and Republic of Ireland (6.1%) rate for September 2017. However, this apparent positive news is tempered with the statistic that 29% of people aged between 16 and 64 are considered to be economically inactive. This is the highest rate in the UK and it appears to be a rate that is growing. In Bryson FutureSkills, we have developed innovative partnership programmes with large employers including housing associations, local councils and Health and Social Care Trusts who provide on the job training. 48% of the young people we have supported have moved into sustainable jobs. It is our understanding that other Government programmes, such as Steps to Work achieved around 25% employment outcomes. The difference in approach is that our model of intervention is based on preparatory training for work including ‘wrap-around’ supported paid work experience and ongoing job search support. It is Bryson’s view that ‘netting off’ the benefit savings from work-based employment programmes and the greater use of social value requirements in government’s £3bn annual procurement spend makes these programmes a more practical option with better employment outcomes. The lack of having Executive Ministers has meant that some Government programmes have not been reviewed with regard to effectively tackling issues of the long term unemployed. We need a new Executive body in place to make this a key priority and effectively address this key social and economic issue. Bryson Charitable Group seeks to help empower people in N Ireland to build a better future for themselves, their families and their communities. The lack of a functioning, effective and listening Executive has hindered that mission. Bryson Charitable Group would like to thank the Committee for this welcome opportunity to share our case studies and introduce some of our innovative thinking and solutions to policy challenges and issues in N Ireland. We will continue to be a critical friend and partner to Government. We would be delighted to brief the Committee further on any of these issues if the members feel that that would be of value or to facilitate a visit to our facilities in N Ireland.